Fit Services - The Bike Hub - Spokane, WA. 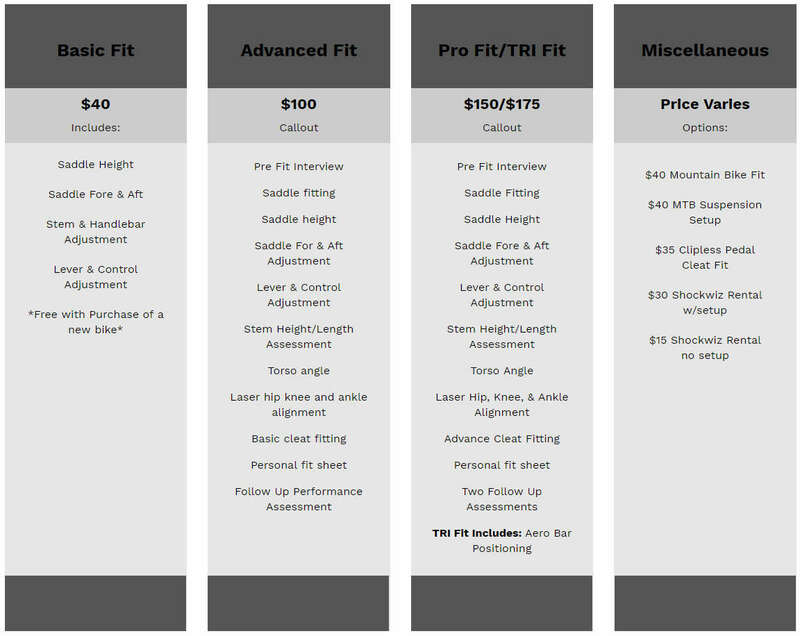 At each of our three locations you will find a custom fit studio dedicated to improving comfort, performance, and preventing injury by perfecting bicycle fit with our certified BIKEFIT experts. Specializing in true dynamic fit, our Custom Fit Studio's are driven by the experience and expertise of our industry leading fit consultants. Our consultants are cycling enthusiasts certified by many of the top fit schools in the nation. Call us for more information!